Is there still a place for utopian thinking in politics? Is there a place for utopian ideas in political theory? The appropriate relation between political theory and utopian ideas has become a much discussed topic for those studying political thought. This project is concerned with a historical aspect of that topic and is focused on the hostility towards ‘utopian’ forms of socialism that can be found in the writings of Karl Marx and Friedrich Engels. This project suggests that the character and foundation of that Marxian hostility has often been misunderstood, and demonstrates that Marxian hostility is both more muted, and more clearly defended, than is typically appreciated. 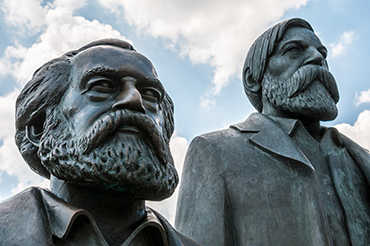 Marx and Engels are not only enthusiastic about the critical dimensions of utopian socialism, but also offer a contextual, historically sensitive, defence of its founding generation (writers and activists like Charles Fourier and Robert Owen). They do, nonetheless, criticise utopian socialists’ attempts to imagine a perfect society as undemocratic, unnecessary and impossible. Although their criticisms are ultimately unsuccessful, their underlying reasoning reveals much about the nature of Marxian thought. The aim of this project is to deliver a better understanding of the historically influential views of Marx and Engels, an effective critique of certain aspects of those views, and a moderate defence of non-Marxian socialisms against some of their criticisms. Is there still a place for utopian thinking in politics?